The IMANI program connects UTSC student mentors to Scarborough middle and high school students who need help improving their grades, and has inspired a community through its success. The University of Toronto Scarborough’s Black Student Alliance had an inspiration in 2005. They founded a club to help high-school students in East Scarborough communities improve their grades and prepare for university. 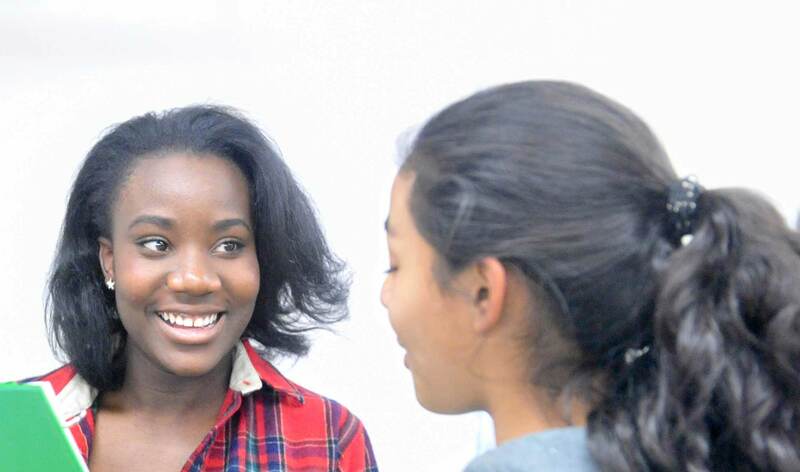 The club, called IMANI — meaning “faith” in Swahili — has been a massive success. According to a recent Council of Ontario Universities report, 83 per cent of high school students who took part in the IMANI program reported having higher expectations and saw more options for the future, while 92 per cent say they became interested in pursuing post-secondary education. With financial support from a UTSC alumna and former Ontario cabinet minister, Mary Anne Chambers, the IMANI Academic Mentorship Program is now overseen by the Department of Student Life. In 2015/16, 44 UTSC students are mentoring 65 Scarborough high-school and middle-school students. IMANI has shaped life for Women’s and Gender Studies student Natasha Allen. Even though she was never a mentee herself, she witnessed the difference it made to some peers, including her foster sister. Allen began mentoring during her first year at UTSC, became the program’s coordinator in her third year, and is continuing as a mentor in her fourth year. She also serves as the finance and safety coordinator for the Women’s Centre at UTSC and believes she would not have secured this position without her involvement in IMANI. She credits the program with shaping her career plans as well. UTSC psychology student Anyonam Tutu-Brenpong took part in IMANI while in high school. “It was really inspiring seeing people like me who were in school and doing well,” she says. “Over time, I learned to be more disciplined with my schoolwork. It helped me with my social skills, gave me organizational skills, and helped me set up goals. I feel like had I not been in that program, I probably wouldn’t have made it to university.” She went on to become an IMANI student ambassador. She explains that the impact of the program goes far beyond better grades and practical assistance such as showing students how to approach their teachers and ask for help with certain assignments. “When they see UTSC students who they can imagine are from similar backgrounds to them, they understand that it’s possible for them to succeed. It opens up a whole new future.